Now that it’s almost over, I can admit that this winter has been hard. It wasn’t the severity but the unpredictability that had me – and almost everyone else I know – on edge. Desperate for any lasting sign of spring, I wrote this short piece on getting through the final weeks for Devour. 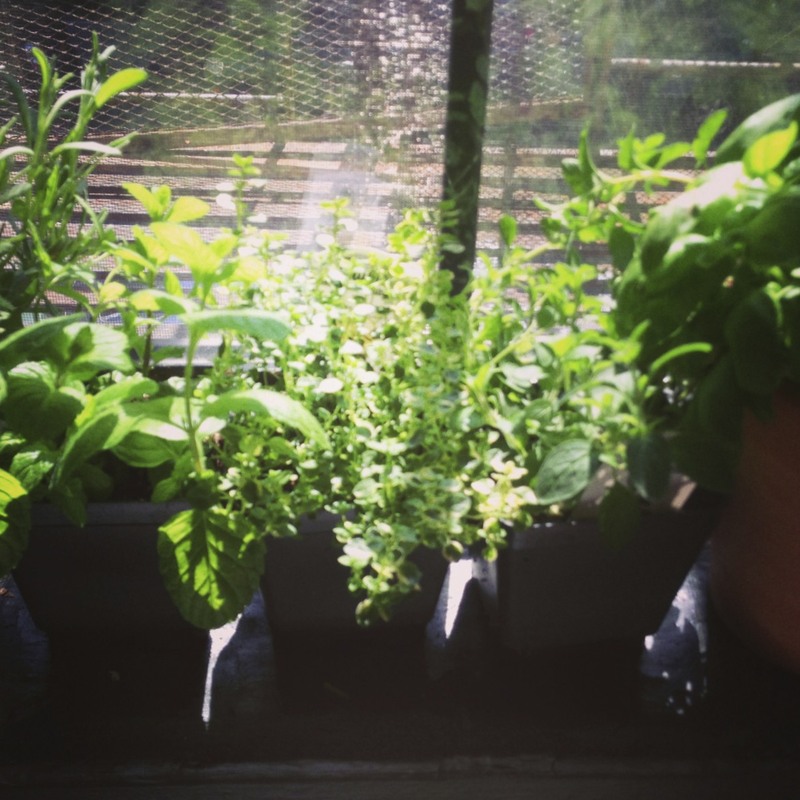 Last week, in a fit of spring induced optimism, I brought an armful of herbs home from the farmer’s market. I’ve never been great with plants, but seeing them lined up along the windowsill, I’m hopeful that these will be different.Getting away for small stretches whenever I could, I took an unexpected research trip to New Orleans. Traveling by myself for the first time in awhile, I decided not to post, rarely instagramed, and left my status undeclared – only too happy to just be there and get a little lost. Though I read everything I could beforehand and compiled lists from friends, I would have loved for Saveur’s New Orleans issue to come out just a month or two sooner. Instead, I find myself flipping through it to see what I got right and what I might have missed, but really just wanted to know more about my new city crush. Looking for reasons to fall in love with my own city again, I went to the Easter parade on 5th avenue for the first time, went to see Nick Cave’s horses at Grand Central, and saw the incredible El Anatsui at Brooklyn Museum. Inspired by Jerusalem, I’ve also been visiting the Middle Eastern markets along Atlantic Avenue for ingredients. Clearly, I’m not alone since the Kitch’n had this post on using both preserved lemons and another on sumac. At some point, I’ll also have to take this tour of Red Hook. On other sites, David Leibovitz discovers the only tortilla maker in Europe, Louisa Shafia plays favorites on 101 Cookbooks, Pablo Neruda’s Ode to an Orange inspires sour cream donuts with blood orange glaze on Eat This Poem, and David Tanis turns winter into spring. It’s a start.